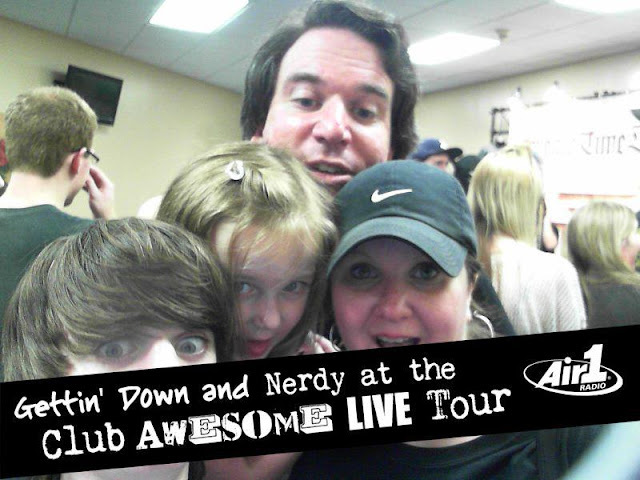 I just posted something about the concert we were at last night on my music blog... Club Awesome in Oklahoma City. The most fun I've EVER had at a concert? Maybe! Take a look at the journal entry here! Acts 16:30-31 - the Philippian jailer asked "Sirs, what must I do to be saved?" Paul and Silas simply replied, "Believe in the Lord Jesus, and you will be saved, you and your household." Although the jailer did ultimately get baptized, Paul and Silas, in a simple answer to a simple question, did NOT include it as a requirement. He was saved as soon as he believed in the Lord Jesus. Romans 10:9 states the requirements for salvation this way: "...if you confess with your mouth that Jesus is Lord and believe in your heart that God raised him from the dead, you will be saved." Again, no requirement of baptism is included. I've matched your Mark 16:16 and your Acts 2:38, which seem to include baptism as a requirement, with two verses that absolutely do not include it as a requirement. Maybe the "misprint" you're talking about is in your two verses? I'm feeling pretty safe in saying that John 3:16, which is probably the most popular Scripture verse in the whole entire Bible, has been gone over with a fine-toothed comb any number of times. Do I get $500, or since I proved it twice do I get $1,000?